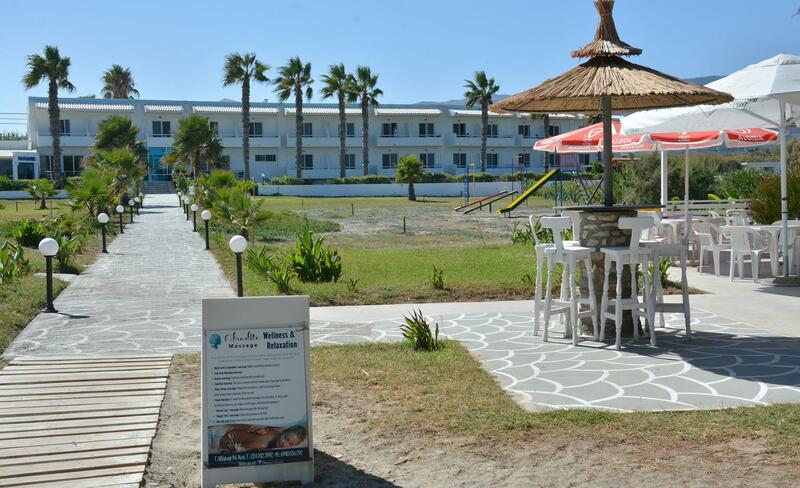 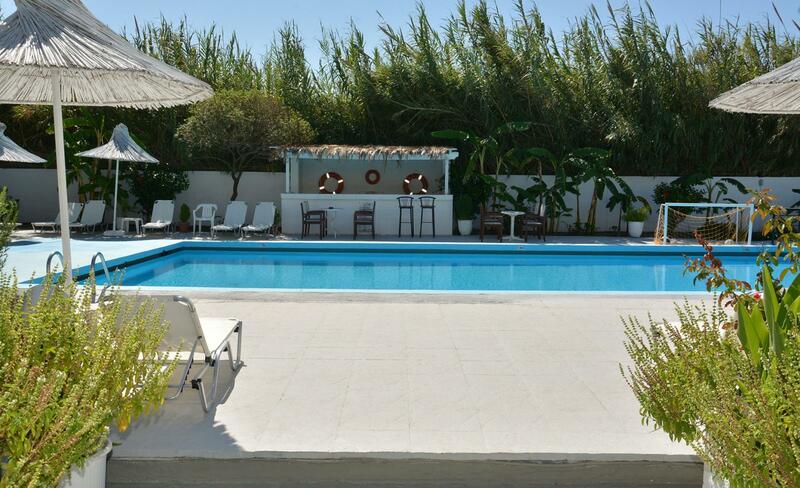 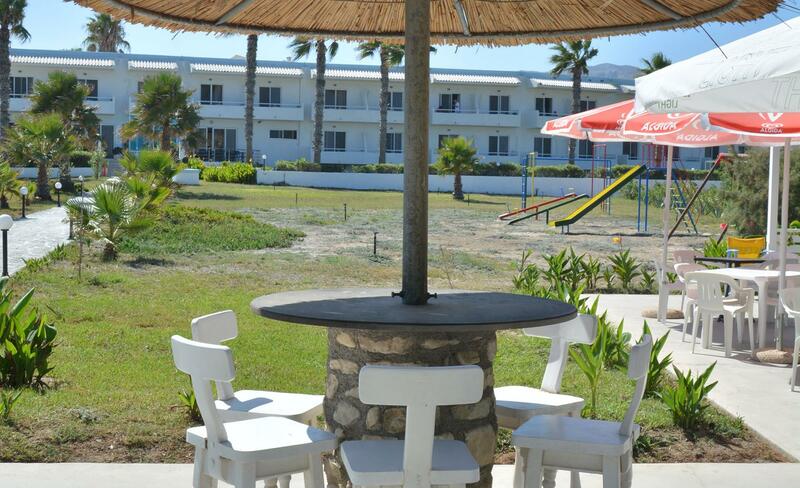 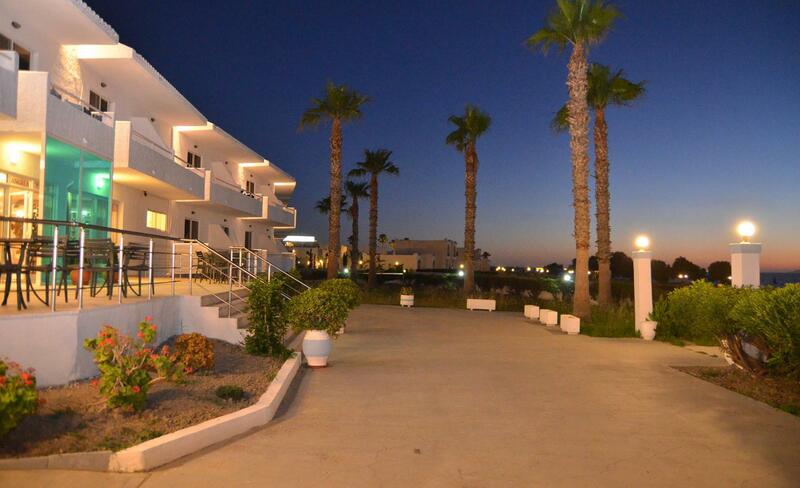 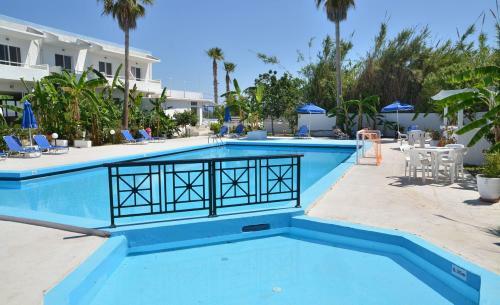 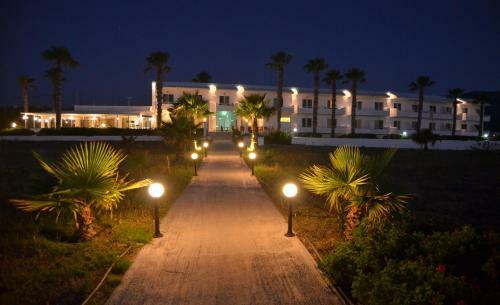 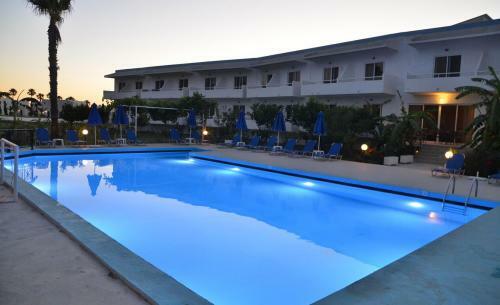 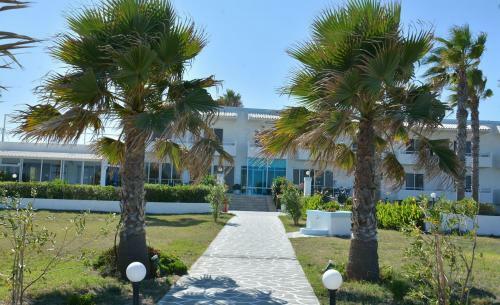 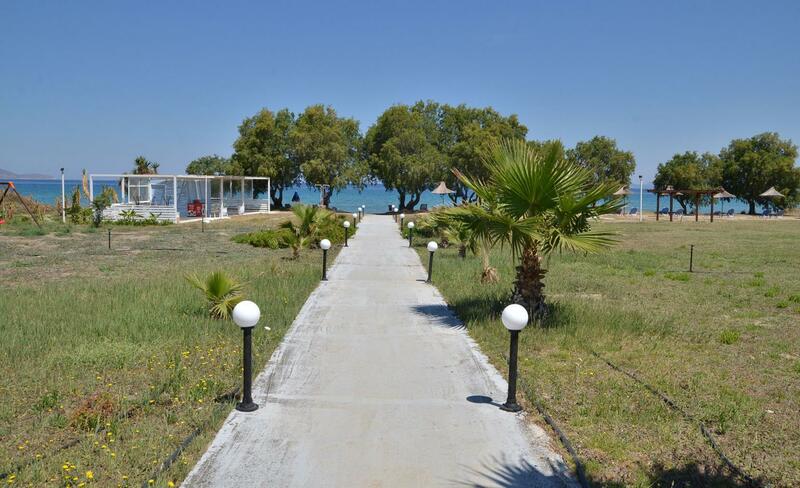 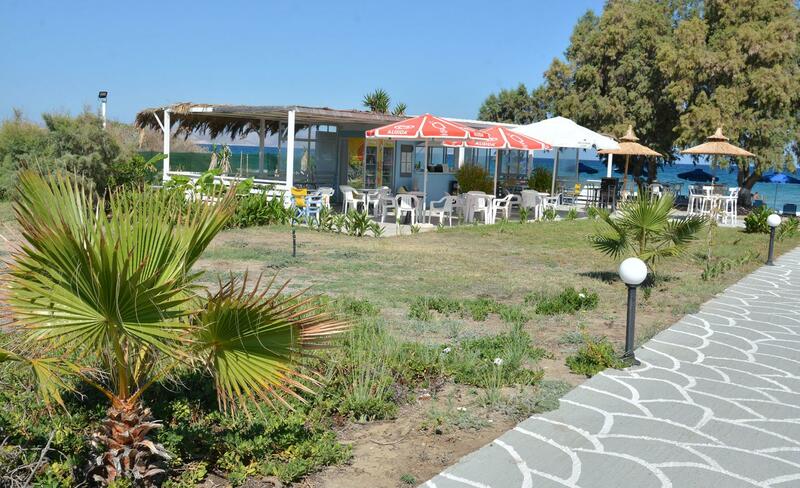 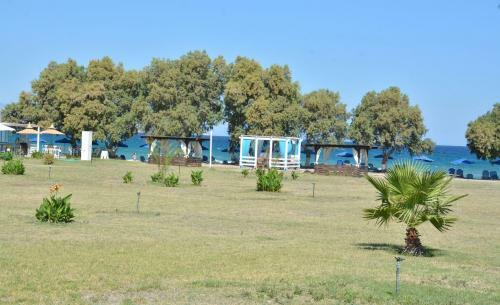 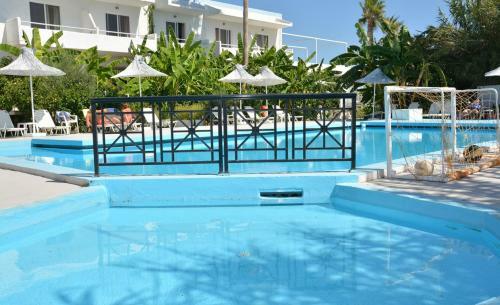 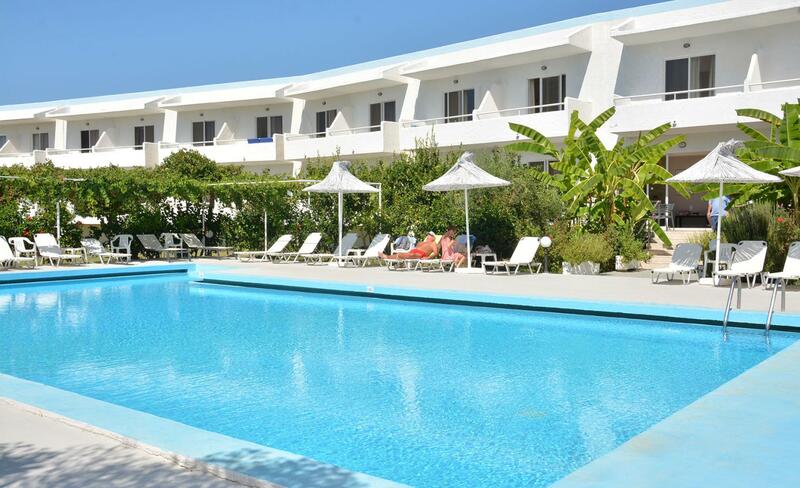 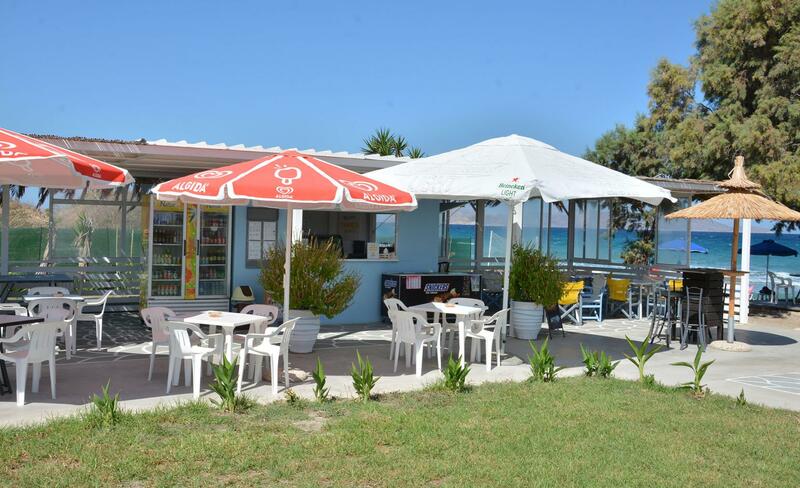 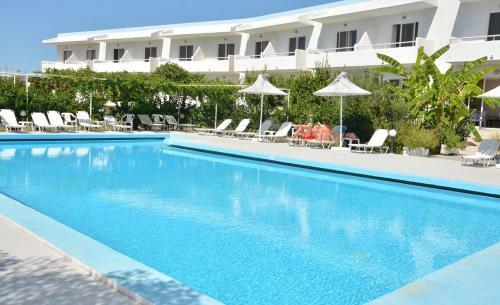 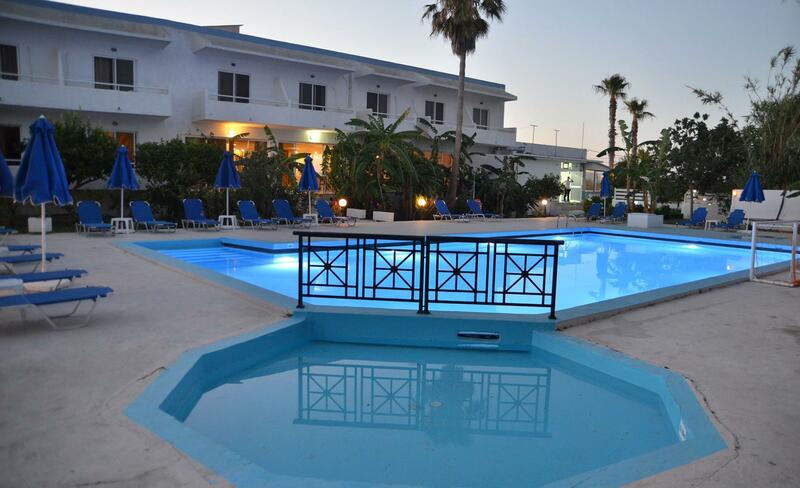 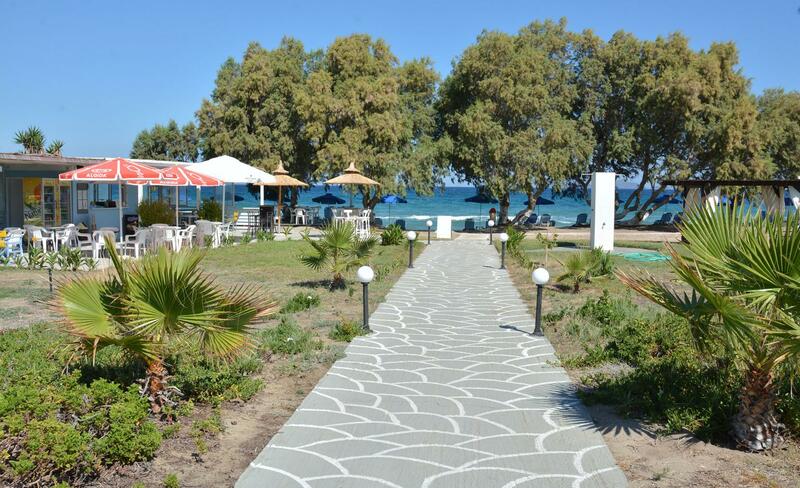 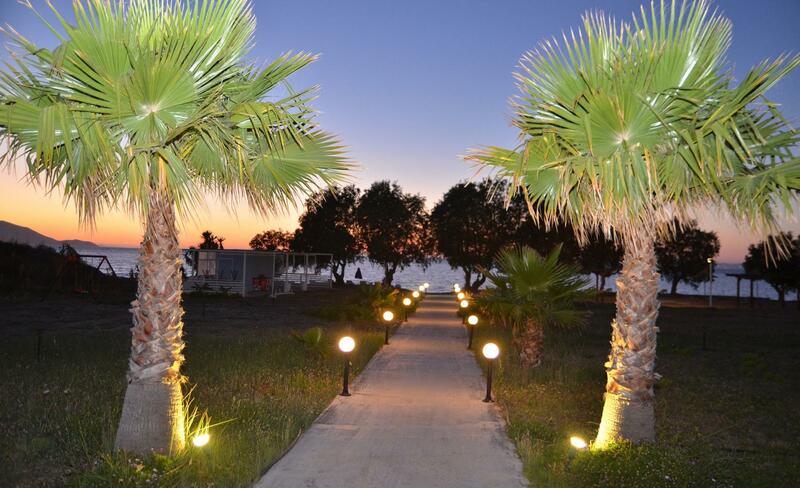 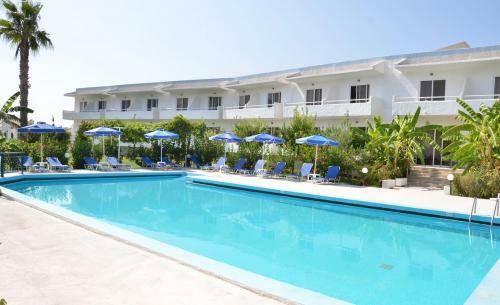 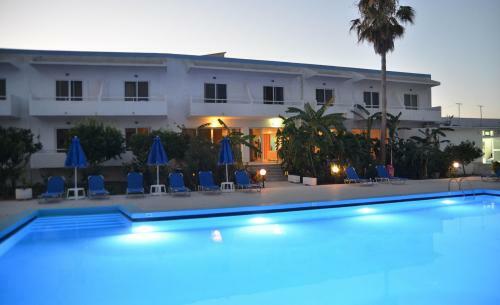 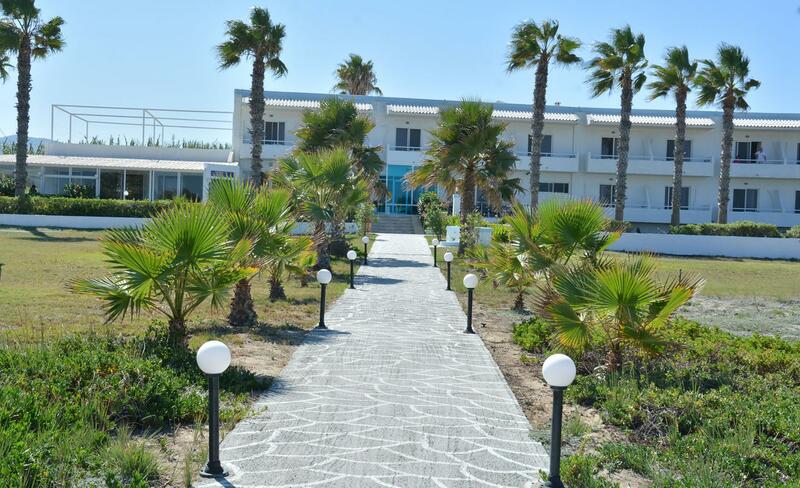 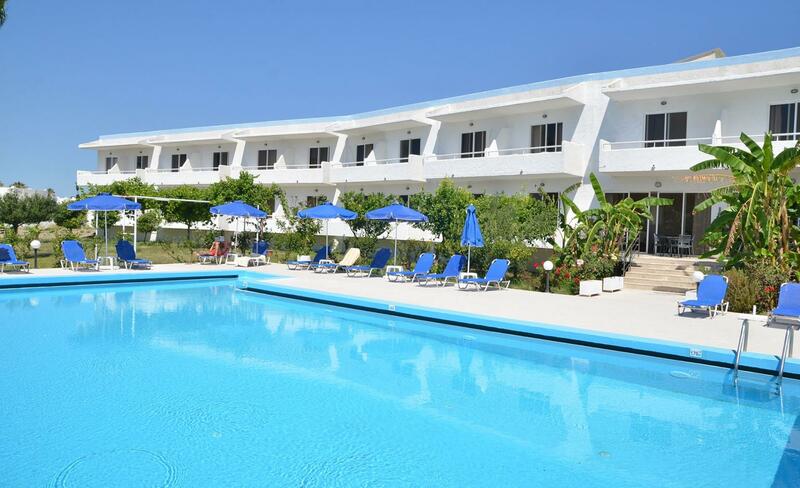 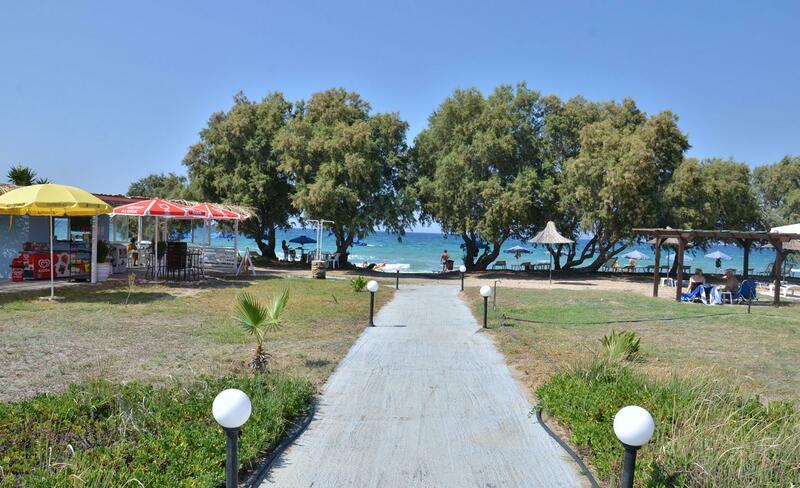 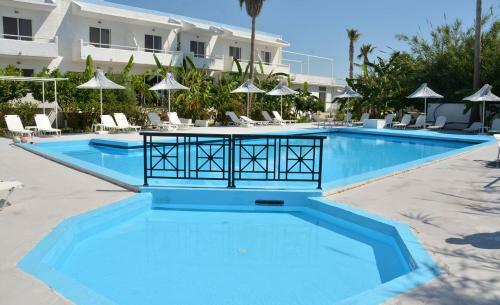 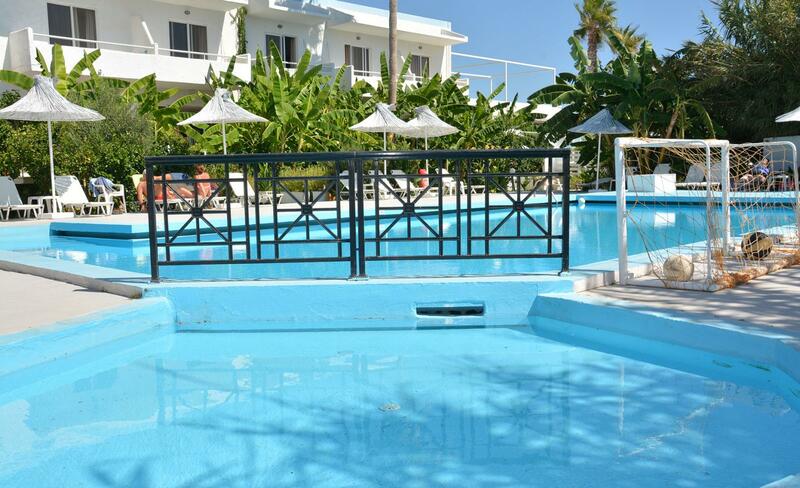 It is ideally situated in Lambi, one of the most attractive regions of the island. 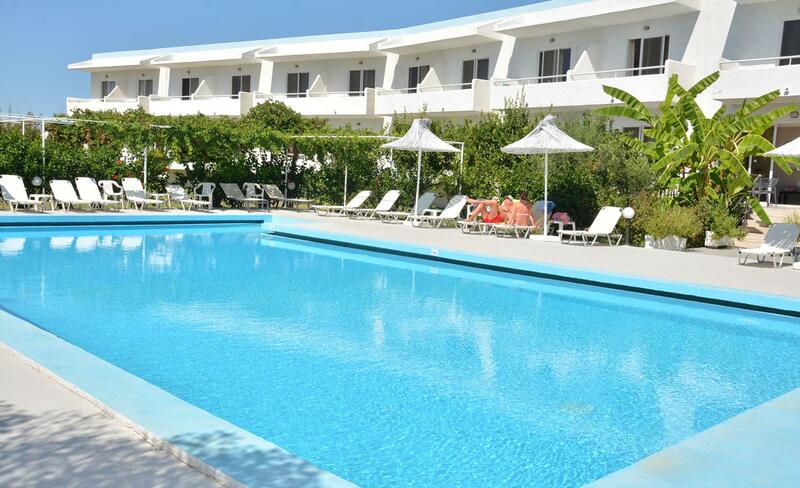 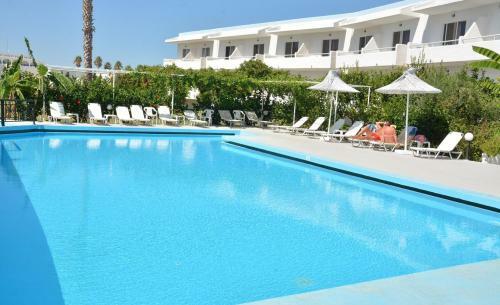 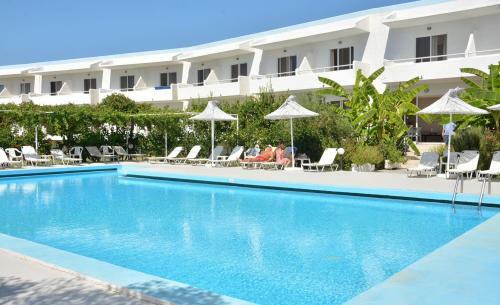 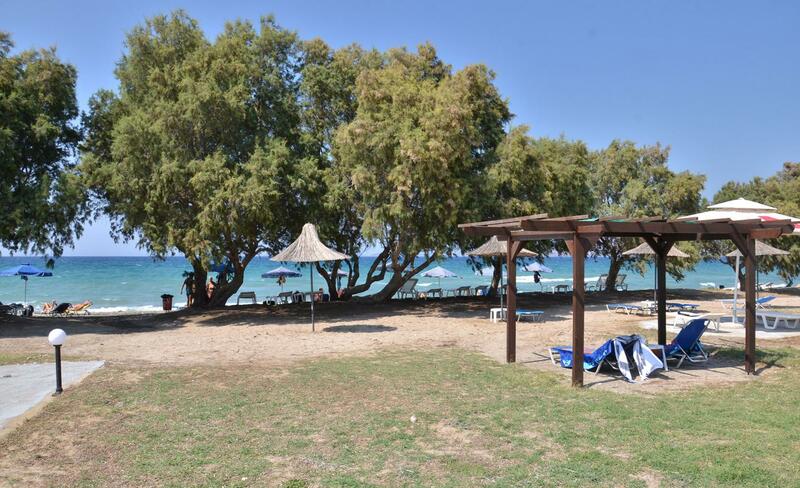 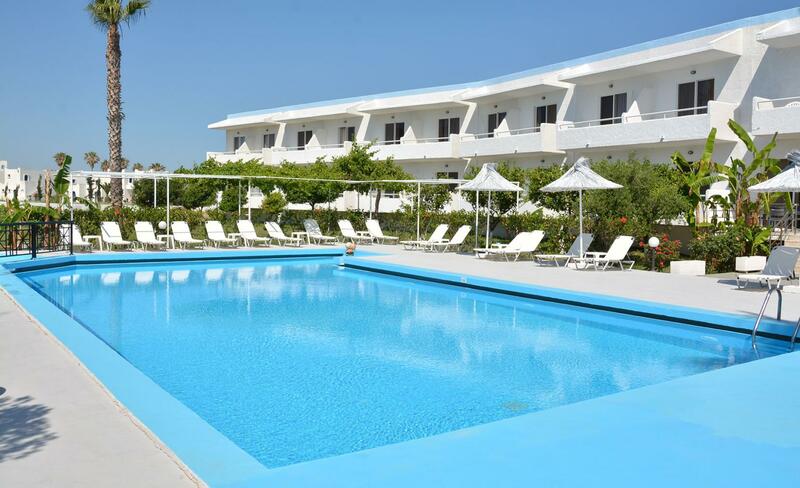 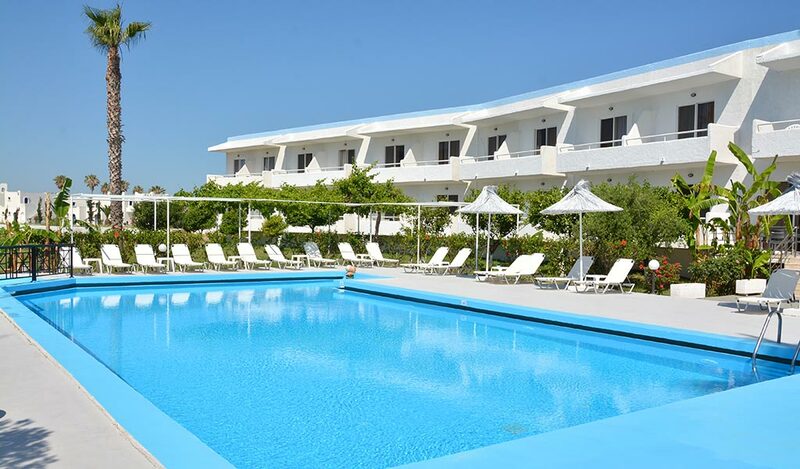 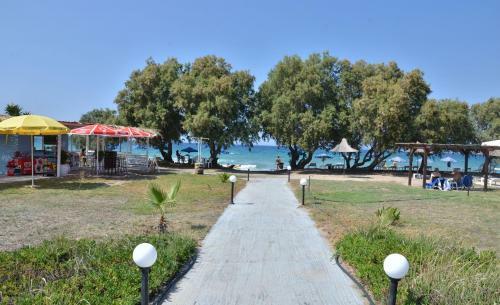 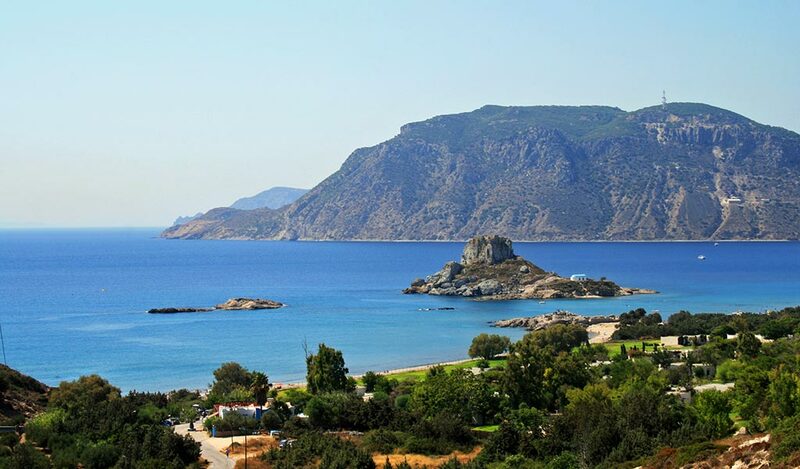 It is in front of an amazing beach with an eminent view to the clear blue waters of the Aegean -sea, the island of Pserimos and the coasts of minor Asia. 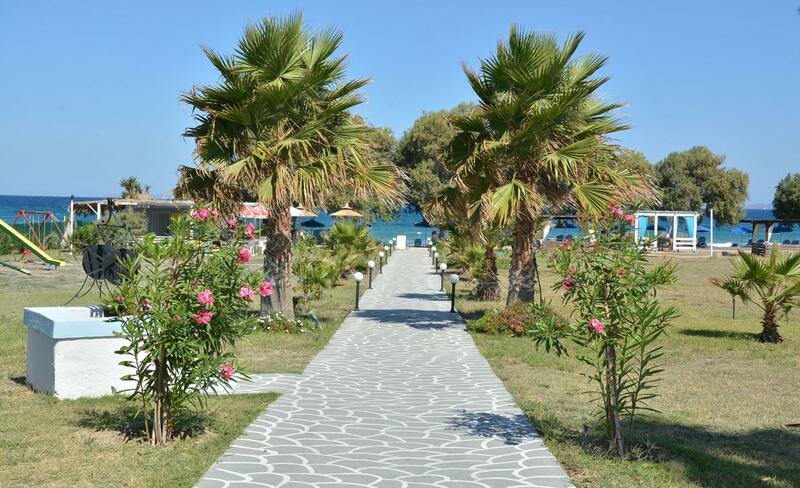 It is surrounded by a marvelous garden with a lot of bougainvilleas, ibiscus, and other local flowers, with palm and banana trees. 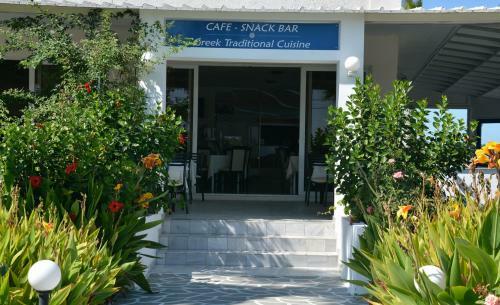 Also with olive, pomegranates, lemon and orange-trees. It is the perfect place for guests looking for peace and relaxation, genuine warmth, exceptional hospitality in a pleasant, comfortable but family ambience. 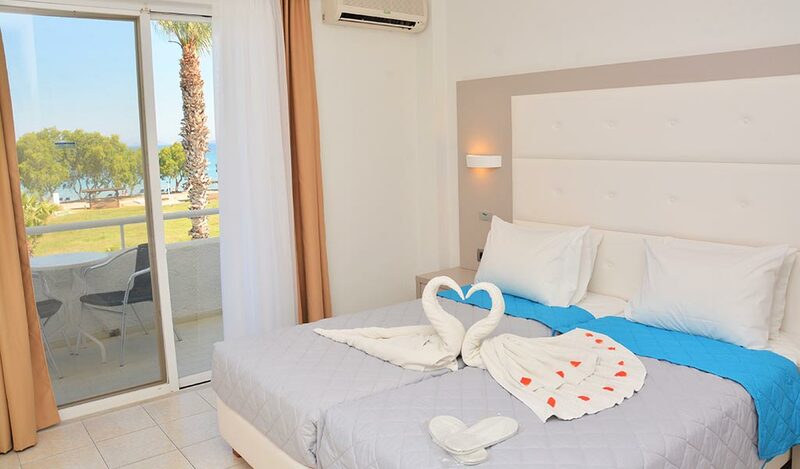 The 47 guest comfortable rooms elegantly decorated, with view to the sea or to the pools and the garden are waiting to welcome you.